On January 5, 1914, Henry Ford announced a minimum five dollar salary for all eligible employees working eight-hour days. It was conceived as a profit-sharing plan which would motivate Ford employees to adopt efficient and productive habits at both the factory and the home. Ford's plan invoked a variety of responses. Workers viewed him as a friend, while many businessmen viewed Ford's idea as reckless. The Wall Street Journal called it blatant immorality-a misapplication of "Biblical principle" in a field "where they do not belong." Ford disregarded his criticisms because he knew the importance of acknowledging the human element in mass production. He believed that retaining more employees would both lower costs and lead to greater productivity. His beliefs proved his critics false, as the company's profits doubled from $30 million to $60 million between 1914 and 1916. "The payment of five dollars a day for an eight-hour day was one of the finest cost-cutting moves we ever made," Ford said. Teachers may get significant auto insurance discounts with our Teachers Auto Insurance Florida programs! 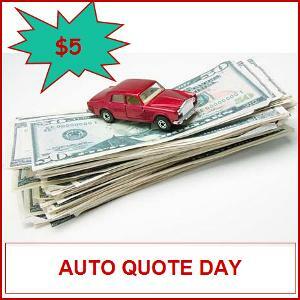 Teacher’s Insurance Specialist will donate $5.00 for each auto insurance quote with our at Your School Auto Quote Day. Our $5 day may not impact the world like Ford’s, but it does have the ability to financially help school programs and can be a significant cost-cutting event for teachers. If you would like to help your School make money and Help Your Teachers save money give us a call to arrange a Five Dollar Auto Quote Day at your school.